​Dr. 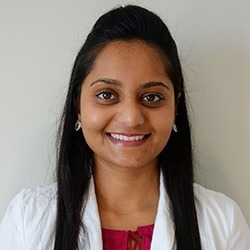 Romi became a dentist in 2011 in India at age of 23 and have been practicing dentistry in Canada since ​2015. She has been practicing in Kanata Ontario until she decided to join us in Peterborough. ​Her passion and interest for dentistry keeps me driven to achieve new heights at professional level. ​She l​​​ook​s​ forward to delivering best oral health care with utmost compassion for ​our patients. Developing ​a long term relationship​ with patients and completing treatment with pleasing experience are few things​ she wish​es​ to accomplish everyday. When ​she is away from patients, ​she loves traveling around the world with ​her loving husband, exploring various cultures and most importantly local cuisines.